The new owners were father and son, both cordonniers. There's a record of a Monquignon bottier in 1860, among the members of the Société Municipale de Secours Mutuels (9e arrondissement de Paris) operating in an area of the city: it was Denis, the father, as Alfred-René Mounquignon was born the following year (1861). 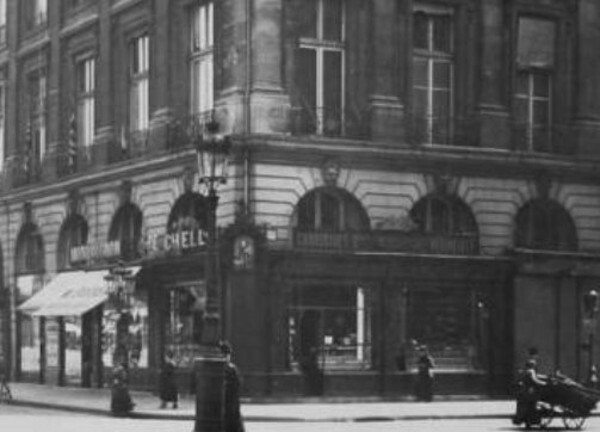 In 1888 Monquignon operated a shoe a boutique in Rue Hausmann, Paris  until they moved to Place Vendôme to the former Perchellet shop, keeping the sign of the former owner. 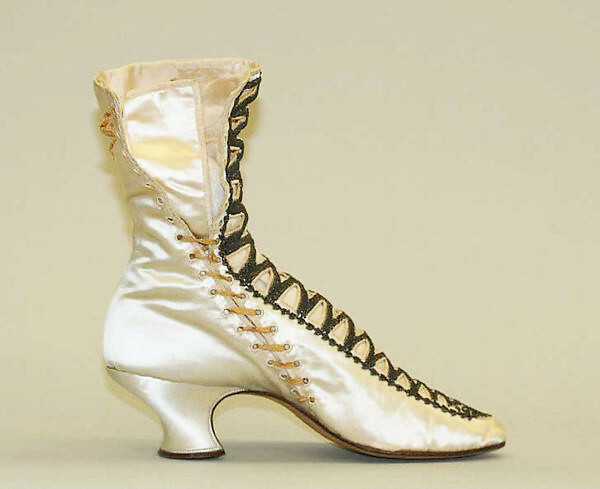 Even the shoe style remained more or less unchanged, especially the evening shoes. 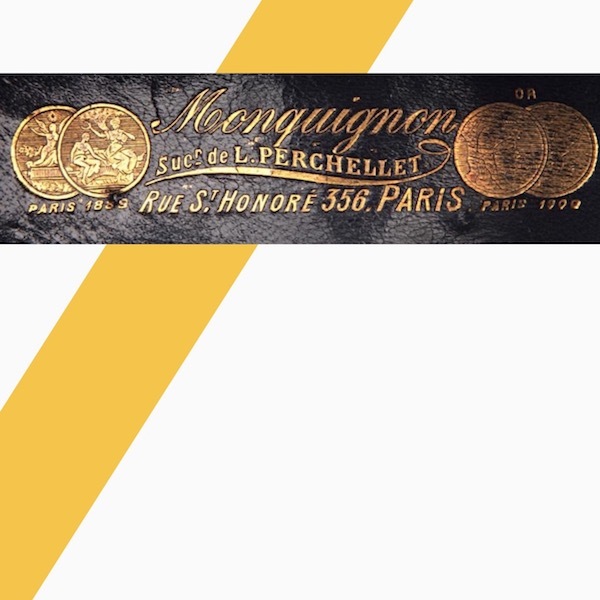 Like Perchellet before them, the new company was awarded with the gold medal at the Universal Exhibition in Paris of 1900: another info to be added to the insole label. The above photograph it's from the period after the acquisition by Monquignon, meaning after 1896. The vamp features an attractive beadwork design, dense but well articulated. The extreme toe shape and curved sole are peculiar to Parisian shoes at this time, and together with the high cut of the back and throat, produce a perfectly straight line along the top profile. The two other models (a pump and a boot) are both a gift by Susan Dwight Bliss, most probably her mother's, Jeanette Dwight Bliss. Mrs Jeanette was the daughter of a wealthy cotton merchant, and she was married to a banker. The Russian museum Shoe Icons owns three models. 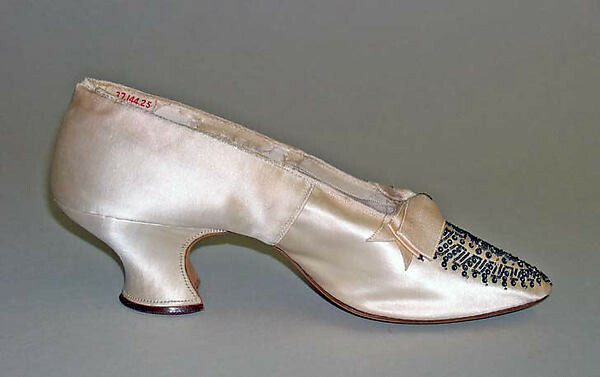 Among them a refined wedding shoe, with an elegant decoration of white and golden beads on the vamp. 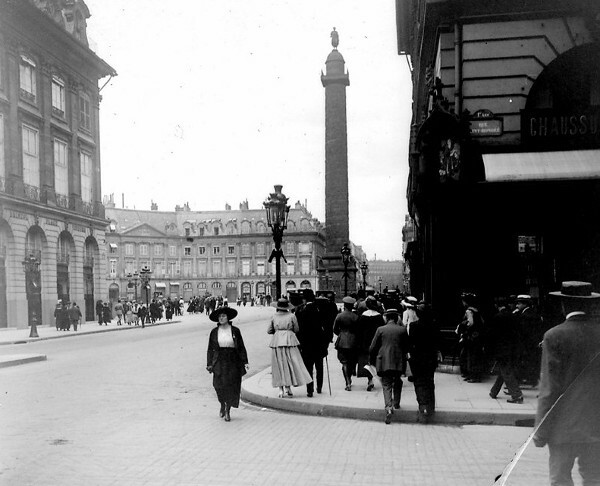 According to the Annuaire du commerce Didot-Bottin, the Maison Perchellet-Monquignon was still in place Vendôme in 1914, although it had already moved to rue du Colisée, 15 in Paris in 1921.